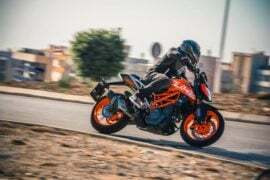 The new KTM Duke 390 shares its engine with the old model. 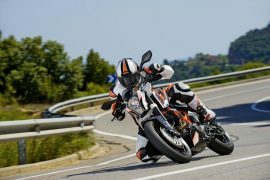 Power figure, at 43 BHP, is down by 1 BHP, but comes in at a lower RPM. 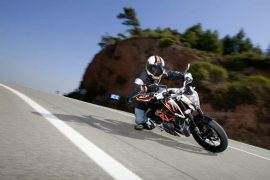 However, the peak torque has seen an increase of 2 Nm. Max. power and torque are available at lower RPMs now. 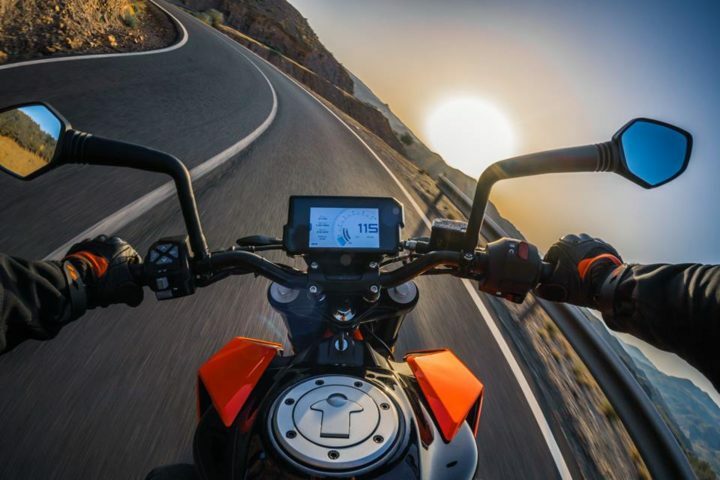 The 2017 Duke 390 gets a ride-by-wire system and a side-mounted exhaust. The ground clearance has increased by 15 mm. 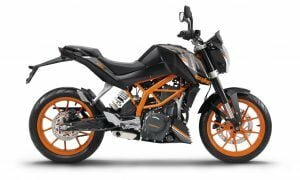 Dry weight has increased by 10 KGs and seat height has increased by 30 mm. The wheelbase has reduced by 10 mm and fuel tank capacity, at 13.4 litres, has increased by 2.4 litres. The front disc brake has grown in diameter by 20 mm. 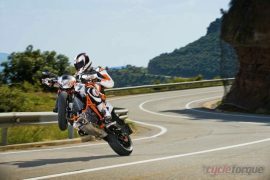 Most importantly, the 2017 KTM Duke 390 is 10 KGs heavier. Price has gone up by 30,000 Rupees. Such an increment makes sense considering the new bike comes with more features and is also BS4 compliant. 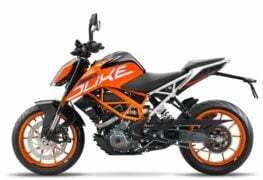 We never felt the Duke 390 is dated. 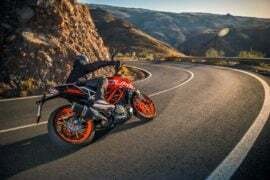 But the new 2017 Duke 390 is definitely leaps and bounds ahead in terms of design and features. 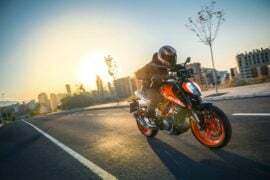 We look forward to the 2017 KTM Duke 390 India launch. 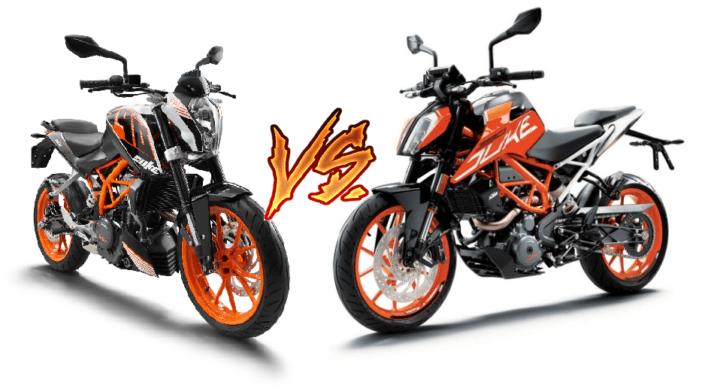 What do you say about this KTM Duke 390 Old vs New Model Comparison? Leave your views in the comments section below.